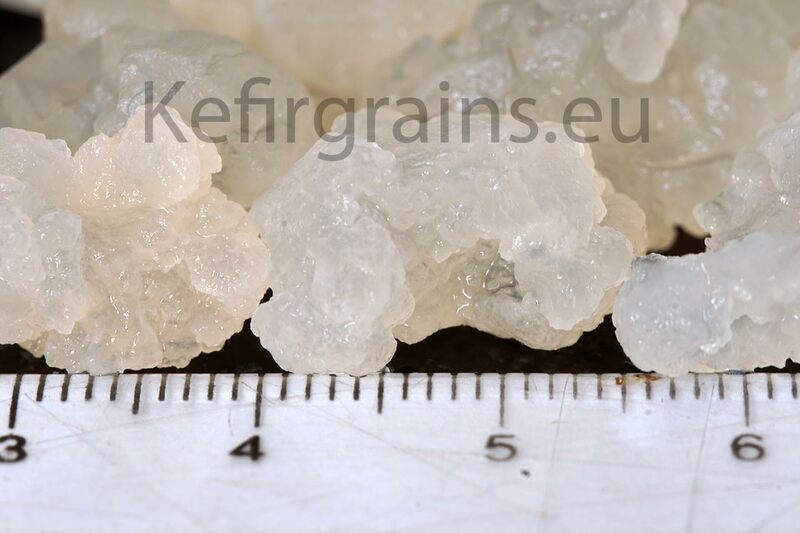 What should live water kefir grains look like ? Click on the pic to see a nice closeup. 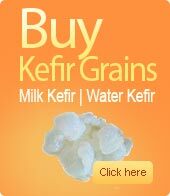 Kefir grains can actually ferment milk in 24 hours, and may convert raw milk into a highly rich probiotic drink. Probiotic drink, Kefir proves to be a refreshing, naturally carbonated drink that has numerous medicinal benefits. Rich in Bifidobacterium bifidum and Lactobacillus acidophilus, Kefir also supplies sufficient amounts of beneficial yeast and lactic acid bacteria. The mixture of beneficial microbiota present in Kefir makes it one of the most nutritious probiotic drinks you can have. So, if you are looking for a substitute of yoghurt that you can drink, then go for probiotic drink, Kefir. It is naturally sweet, slightly bubbly, mild and tangy in taste. It is much similar to yoghurt, but with much more nutritional value. Kefir grains come in two varieties. 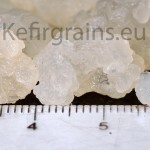 The most common are the milk kefir grains and the others are the water kefir grains. The Kefir users agree that the first users of kefir were the people of the Caucasus, Russia. The story tells about how the people of the Caucasus accidentally discovered kefir grains in their leather bags where they kept their milk. The people started then intentionally drinking milk kefir. 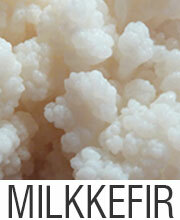 Milk kefir grains turn ordinary milk into a healthy probiotic drink. Later on the Russians where the first to perform medical studies on kefir. In one way or another kefir ended in our own kitchen. We regularly started drinking kefir in our family and we are experimenting with kefir. We enjoy the benefits of kefir. By regularly drinking kefir we feel protected against a variety of digestive diseases. Both milk kefir and water kefir as are known in the treatment of many common diseases. Both milk kefir and water kefir are rich in probiotics, although they have different strains. There are many more probiotics in kefir than in other health drinks, like yoghurt. Water kefir is also called tibicos. A dairy free diet is also good for lactose intolerance. Yet milk kefir is also good for lactose intolerance because the bacteria eat the lactose before it can harm human consumers. There is a milk drink that is friendly for people with lactose intolerance, it is milk kefir. Second, with water kefir you can stay away from the fat content in milk. 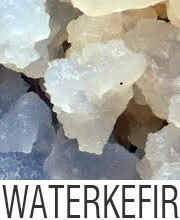 Although skim milk has very little fat, Water kefir has zero percent fat. Thirdly, Water kefir is flexible. You can experiment more with water kefir grains because they work with different types of fluid as long as they have a sugar content. You can add any fruit or vegetable to your water kefir and work with more exciting flavors. The result is a vibrant, soda-like drink that soda could be your healthy alternative.